When I heard about this read along (being led by Carrie over at Books and Movies) awhile back. of course I wanted to join in! But I was still waiting for the book at the library, and waiting... and waiting.. and waiting. So, when I was at the bookstore while on our recent trip... I just bought it, with the hope that I could catch up. Which is exactly what I've been doing this past weekend. And once I "let" myself get immersed (meaning not worrying about what other books needed reading) it wasn't hard to do at all! I've read up through part three's assignment (Chapter 21) and now I'm going to do a catch up post so I can just keep reading it and see what happens! I love the writing. The descriptions are great, but not over the top, so you feel like you're really there, but you don't get bored from it all either. I feel very connected to the characters too, which I feel reflects some awesome writing too. Really, it's pretty perfect. What are your first impressions of Elise? I've liked her from the beginning. She's feisty, and brave and a little spoiled. She seems to have adapted to her new life quite well, considering the circumstances. I think she lucked out big time landing this job and joining up with a house and staff as wonderful as she did. Do you think Elise will ever see her parents or her sister, Margot, again? I've had a dire dire feeling about this from the beginning. Ugh, I hate that! When you feel like something so terrible is bound to happen! Part Two (Chap. 11-15) included the "fun" chapters I would say... the falling in love part! Of course we all knew this was coming, but it was fun to watch. However, like has been mentioned on other read along blogs, I was bugged by the stunt that Kit asked Elise to pull, and then I couldn't believe she really did it. Whatever. Kit seems like a fun guy, but I'm getting weird strange vibes from his dad too. Anyone else? The setting (which is like it's own character) is awesome and I want to go here! I want to live here! Part Three (Chap. 16-21) is when things start getting a bit too sad. I've worried all through these chapters about how things will be ending. Another story about the terribleness of war and nothing makes sense. And now it's time to wonder if anything we think is going, is REALLY going on. And what's the best thing for Elise to do next? Where does she belong now? How should she be relating to Kit's dad? Some sad sad stuff indeed. I can't wait to finish up the last little bit (even if I'm scared about what's going to happen!) I have been totally loving this book. All those that said if you love Downton Abbey, you'll love this... well, they were right. It truly does have the same sort of feel, though it's only following one story line where as Downton Abbey has several. Be sure to check out Carrie's post for the day to see what other readers have to say about the book so far. I will have my regular review up next Monday to wrap up this read along. So glad I could join in for this last little bit of it! Hmmm, should I buy this one, borrow it from you, or get it at the library? I'm not sure I'm quite in the mood for it RIGHT now. Carrie: Ah, yes, you really REALLY need to! And p.s. I've just finished the books, and wow. Weepy! 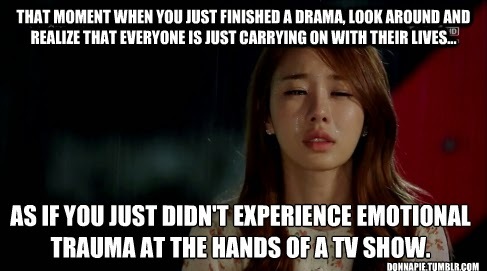 Yes, it definitely had a tear-jerker ending! You did great catching up. I couldn't wait for the library either, so I went out and bought it too. Well worth it. Yes, there are sad moments in this book, very much so and very believable. This is really a fabulous story, and I liked the tone of it too. I look forward to next week's discussion so that we can talk about the ending. Ibeeeg: Yes, I look forward to it too. I have finished now (shortly after writing this post actually) and yeah, the ending. I have resisted reading the ending yet, but I am really looking forward to doing so!